WordPress is an open-source CMS that has become the most popular tool used to create websites in the world. With thousands of extensions and plugins to use on your website WordPress can be used for almost any web solution. WordPress is both user and developer friendly, and because it is constantly being updated you can be confident that your website is always using the latest technology and security. Planning To Use WordPress For Your Next Project?Get in touch with us! WordPress is ideal for companies that are looking to constantly update and expand their web presence because it is easily-customizal, being both scalable and flexible. WordPress can be used to create everything from a simple one-page corporate website to a blog or complex websites featuring hundreds of pages. WordPress is a very easy to use CMS and can be maintained and updated with very little technical knowledge needed from the user making it ideal for companies looking to save on IT costs and empower employees. Choose from one of hundreds of WordPress themes to style your website with, or have our team create your a custom one from scratch. Both the back-end and the front-end of WordPress are mobile friendly allowing both your customers and employees to meet their objectives from any location. Do you need extra functionality? WordPress provides this with plugins – create an eCommerce store, stream video, start a social networking website or even your own crowdfunding site using plugins designed to work seamlessly with WordPress. Hassle-free integration with many other existing solutions including Mailchip, Facebook, Magento, Constant Contacts, SalesForce, QuickBooks and more. Choose WordPress for your corporate website and you’ll get a custom website attuned to the specifics of your industry for a fantastic cost. WordPress is great for any industry and can be used for anything from hospitality to information technology and from travel to the mining industry. Build your eCommerce solution on WordPress and you’ll be employing a highly-stable system used by thousands upon thousands of businesses. Your website need not look like every other though: with thousands of themes and plugins available your eCommerce store will be as unique as your business. Combine a multi-author system, with a great theme, extensive social media options and easy media uploads and you’ve got the foundations for a fantastic news or media website. Create your own social networking site for your employees or customers. Users will be able to share files, upload photos or videos and send private messages. We can also integrate other functionality including maps and payments. 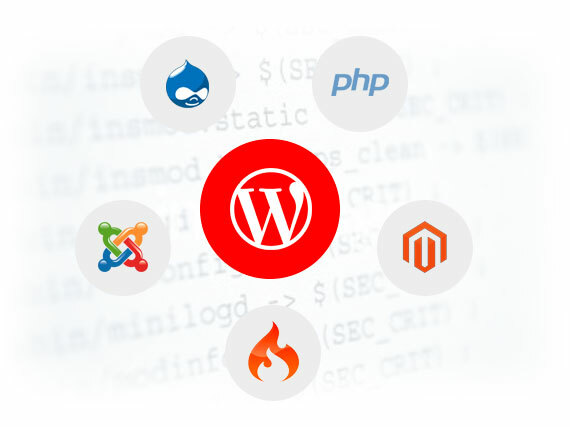 Our highly experienced WordPress development team builds complete dynamic, scalable, and robust solutions with responsive designs containing search engine friendly practices.